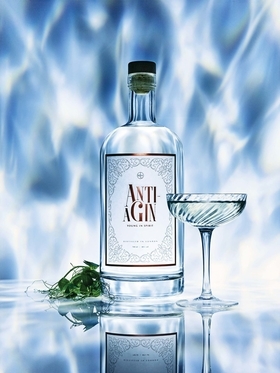 Anti-aGin gin's marketing makes some intoxicating claims. Since it came a few weeks past April Fools' Day, the announcement of an anti-aging gin appears to be on the level. The marketer doesn't stint on the libation's possibilities: “The ingredients were specifically chosen due to their revitalising qualities, including healing sun damage, being rich in minerals, inhibiting scar formation and to help smooth cellulite,” its description reads. Anti-aGin is being sold at all 13 Warner hotel locations as well as online, where it will retail for 34.99 pounds (roughly $51) for about 24 ounces. As of late last week, it was sold out online, so at least the marketing seems to work wonders.